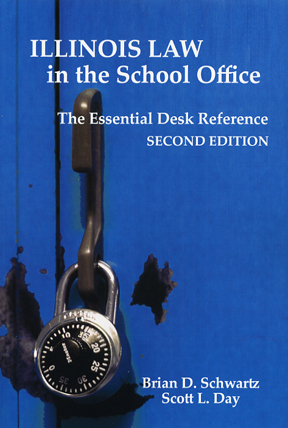 The second edition of Illinois Law in the School Office has been completely updated and revised to help school office personnel and administrators quickly and accurately handle day-to-day legal matters. Significant legal topics are discussed from a practical perspective. Frequently asked questions are addressed in a clear and concise manner. Supplemental materials include commonly used legal forms, practitioner checklists and legal references. Chapters include: Understanding the Law; The School Office: The First Line of Contact; Compulsory Attendance, Residency, Enrollment and Withdrawal; Safeguarding and Maintaining Student Records; School Safety and Student Welfare; Managing Student Medical Needs and Medications; Immunizations, Health, Dental and Vision Requirements; Special Student Populations; Handling Money and Student School Account Management; Transportation and Related Issues; and Employment Issues and Rights. The newest edition updates the original version written by Brian D. Schwartz and Scott L. Day. The 197-page book sells for $24.95 and is available in the IASB Online Bookstore. It will also be available at the 2015 Joint Annual Conference bookstore, where the authors will be available to meet guests and sign the book.